Domino’s Pizza has launched a great new national TV campaign that is centered on their team members and their passion for all things handmade. One of the stars of this campaign is Lewisville's Crystal Stanley, who is a general manager at Domino’s Pizza in Flower Mound. 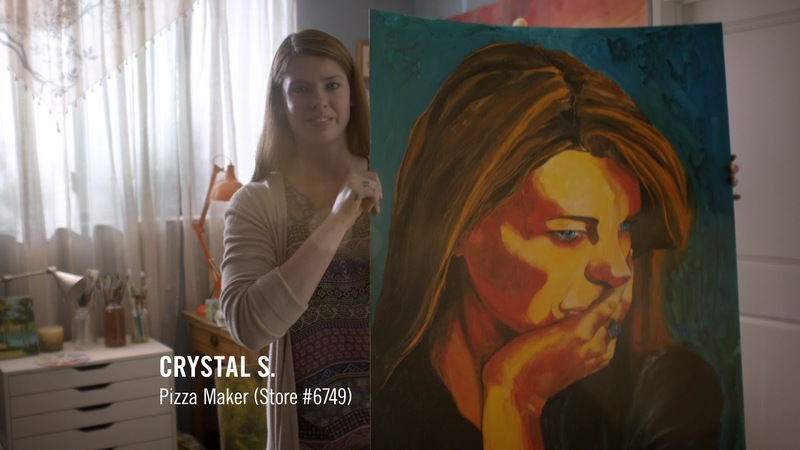 In her commercial (check it out below) Crystal shares her love of painting with watercolors. In honor of all things handmade, Domino’s is offering medium, two-topping Handmade Pan Pizzas for $7.99 each now through March 16. Domino’s Handmade Pan Pizza is made from fresh, never-frozen dough and features a golden, crispy crust with toppings to the edge and two layers of cheese in every bite. To meet and learn more about Domino’s talented pizza makers, visit www.handmadebydominos.com.